The firm will move from a single S-Corp to an LLC to increase employee ownership. 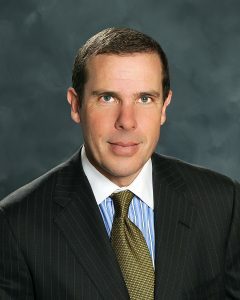 Callan’s President and Director of Research Greg Allen will assume the title CEO and President September 1, among several other corporate moves, the institutional investment consulting firm announced Monday. Callan’s current Chairman and CEO Ron Peyton will become executive chairman. The company will also move its legal corporate structure from a single S-Corp to a limited liability corporation (LLC), also effective September 1. The change is to continue the firm’s vision of a broadly distributed employee ownership. Employee owned since its 1973 founding, Callan has 90 employee shareholders—none of whom own more than 20% of the firm. Callan expects its shareholders to expand to 100—the maximum allowed for a single S-Corp structure. Under an LLC structure, there are no limitations to the number of employee shareholders.